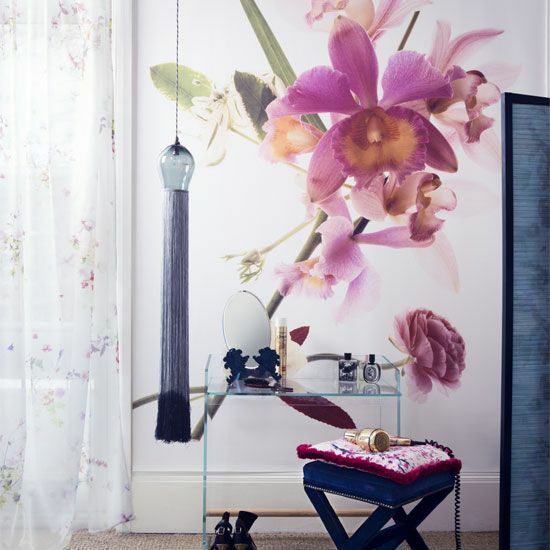 Floral motifs have stood the test of time in remaining classic and ladylike. 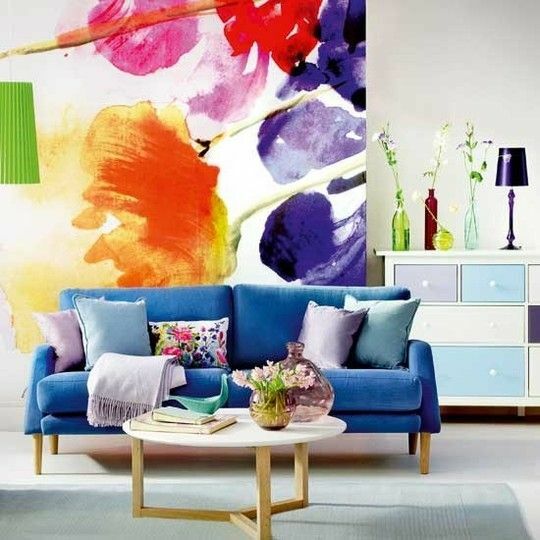 But, in today’s trends these budding beauties create wow factor when oversized raising this look to almost pop art status. 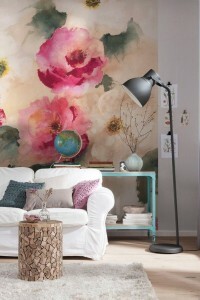 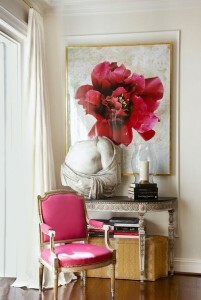 Get the trend quick with an oversized piece art. 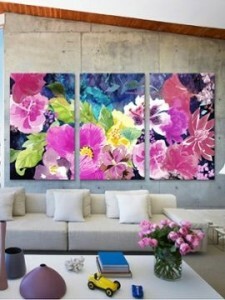 Use it as a headboard, in the dining room or above the sofa to bring a fresh mood to your space. Adding a great piece of art above your bar cart or in your dressing area create a glamorous feeling and will bring life to those areas. 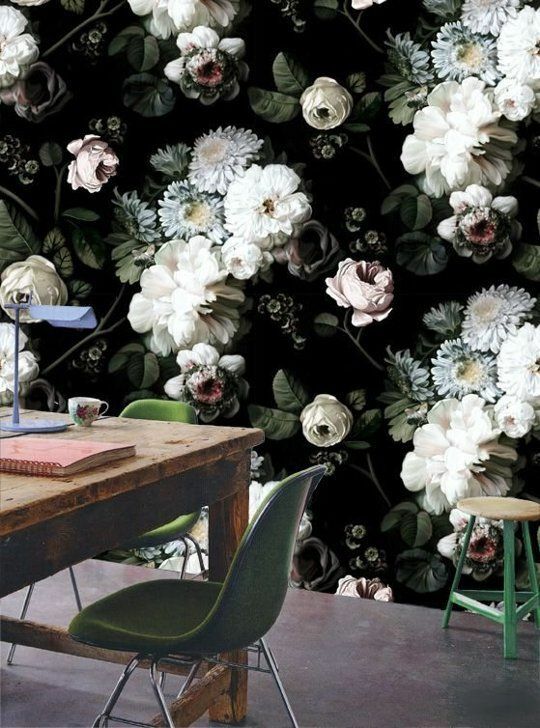 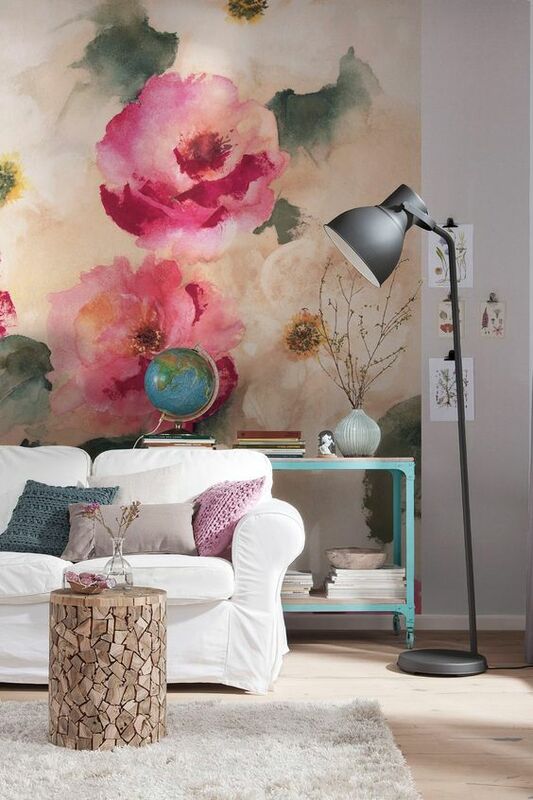 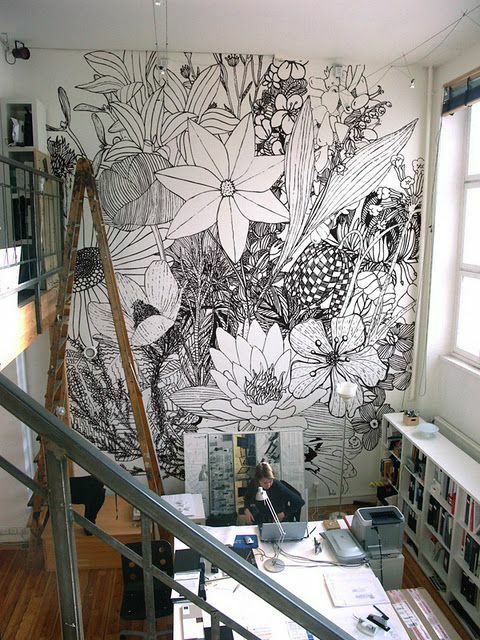 Take your botanical obsession to the next level with colossal printed wallpaper. Paper the walls, the ceiling or anywhere outside of the box for maximum impact. 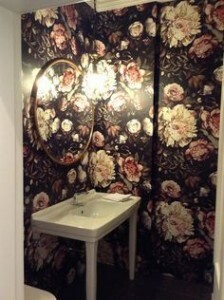 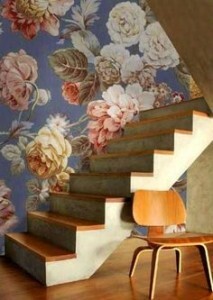 Blossoming wallpaper produces big style in a small powder room. 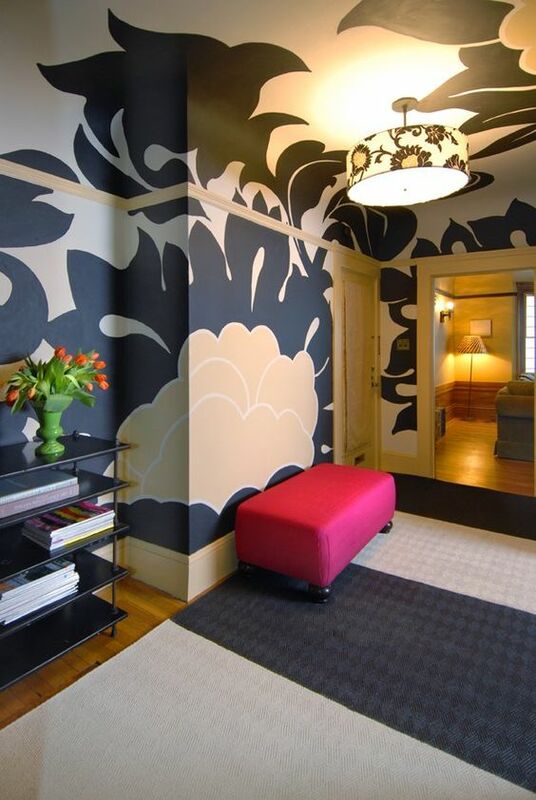 The Jigsaw designers love using bold, dark colors in small spaces like in the image below. 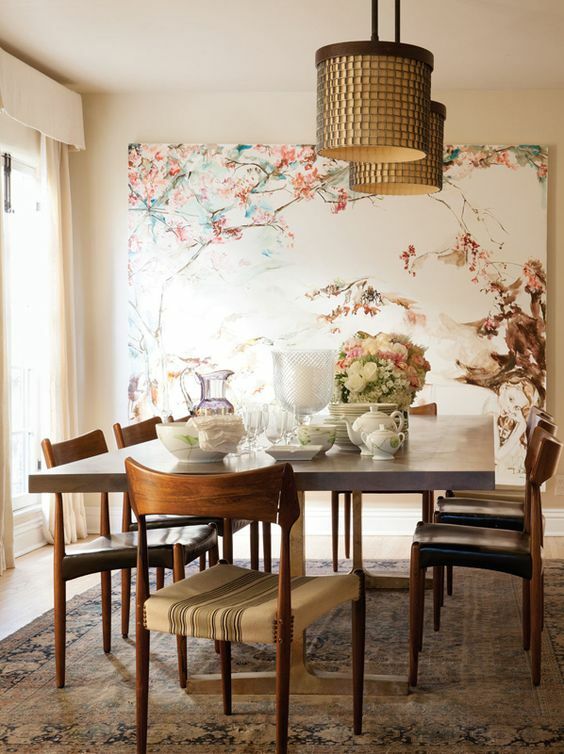 Horticulturally flexible: bold and bright blooms in a dining room bring life to walls in vivid color, while romantic blooms in a soft palette create a cozy dining experience in a more traditional space. 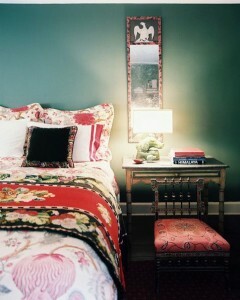 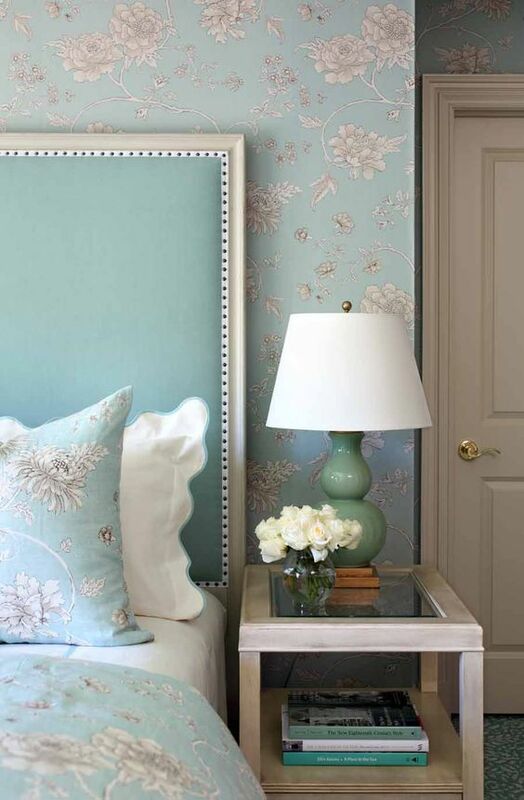 Flowering linens, duvets, and headboards create an air of romance with comforting appeal. 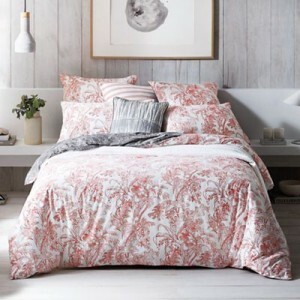 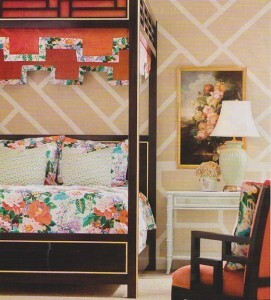 Matching linens and wallpaper add sophistication like that of a luxury hotel. The office has never been more stylish. 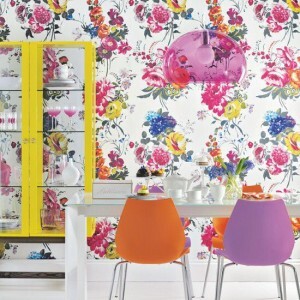 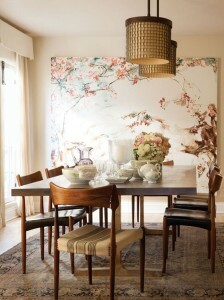 Bold wallpaper makes a big statement and is sure to inspire. 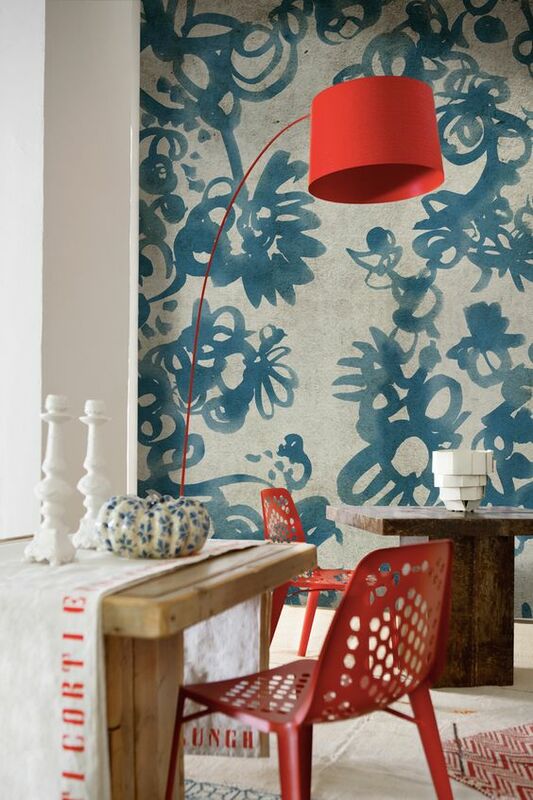 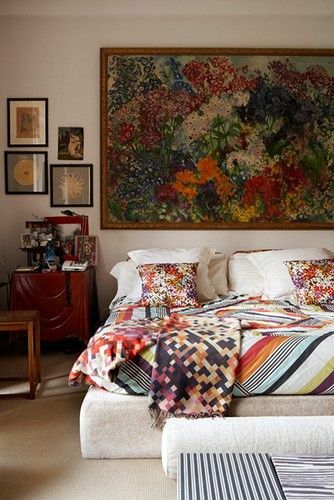 Embrace you inner flower-child with this motif in a grand scale for maximum flower-power. 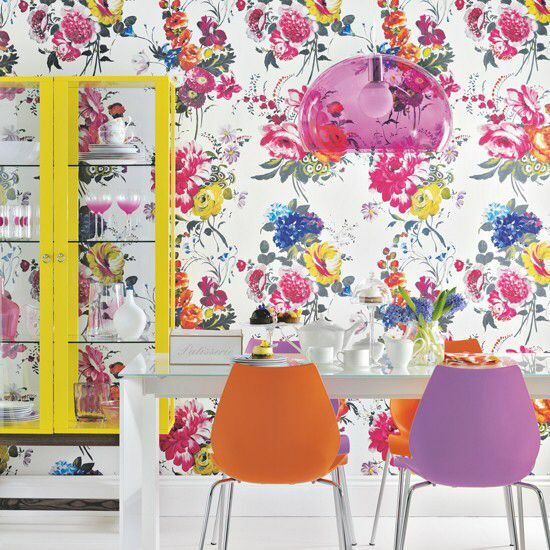 For more information about floral trends or styles and images in this blog simply leave a comment below or reach designer on the contact page of our website www.jigsawdesigngroup.com. 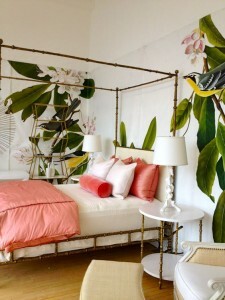 Be sure to subscribe to the blog and like us on Facebook.